Mr. Bigglesworth - это кот доктора Зло из Остин Пауэрса. На низких уровнях мистер Бигглсуорт - просто машина для атомного урона на втором-третьем ходах за счет скрытности и наличия своего аналога Элементиевой стрелы Смертокрылыша. Из минусов - отсутствует какое-либо лечение, а так же, являясь нежитью, не может наносить "нежитьский" урон - только элементальный или животный, зато по полной огребает от зверьков, поэтому лично я использую его как мощную добивалку - благодаря расовому бонусу нежити он гарантированно доживает до того самого третьего хода, когда может закончить прокаст. Тусуется при входе в Наксрамас,возле портала. Получил ачивку, сделал релог, добавился один котик. Через некоторое время гляжу, у меня их уже два. На данный момент у меня их три штучки. Не знаю баг это или нет, но доходит до смешного. Из комментариев так и не понял как его получить. Что за ачив? Очень удачный котик для любителей прокачивать питомцев на диких петах. С его помощью можно безопасно выводить в бой питомца 1-го лвла против 25-го, за счет Ледяная преграда. Oh, Mr. Bigglesworth, finally able to tame you, hmm? But seriously, love the pet and love Austin Powers, gonna be picking this up. Mr. Bigglesworth was frequently killed in Naxxramas, and now he is an undead battle pet as a result of the frequent killings. If he wasn't killed, he would have been a critter/beast battle pet. The model for this pet isn't skinless. That makes me angry. And when Dr. Rosemourne gets angry, Mr. Bigglesworth gets upset. And when Mr. Bigglesworth gets upset... People DIE! I think that Lil' KT (or Landro's Liching) would make a nice group to have. Course unless you run into someone with Critter type pets. ...no, we don't gnaw on our kitty. Leave Mini- no! Leave Mini-Mr. Bigglesworth alone. Just love him, stroke him. Welcome back Mr. Bigglesworth ... Kel'thuzad would be pleased ! While dueling, remember - when Mr. Bigglesworth dies, people get upset. Interesting, interesting pet. But strategically, I'm not sure how I feel about him, because of his Undead status and anti-Critter moves. Undead pets take more damage from Critters, thus, even if he were up against one, they'd be on equal grounding with him. This can certainly come in handy during PvP, where you're not sure who you'll be up against, and you'll find that Mr. Bigglesworth typically gets the first move, but here's the catch. His other set of moves, his best set in my opinion, are Elemental. Elemental moves do bad against critters. Ice Tomb is a wonderful opener you won't be able to use against your Critter opponents, because it's neutered. Frost Nova and Howling Blast become far less effective. Overall, I'd recommend using him against Mechanicals, but I can't say this is a beaming recommendation. There are better Elemental pets and anti-Mechanicals pets out there to use. I'd say the bonus for Mr. Bigglesworth is that he keeps the Undead racial. Also, his dad is sort of a big deal. He's great for showing off, but I don't find a whole lot of redeeming qualities otherwise. Ice Tomb into Claw then Prowl is pretty OP. Prowl just before Ice Tomb hits buffs the heck out of Ice Tomb to the point it will one shot anything but a magic or critter pet and the speed reduction of prowl isn't a hindrance to the combo. This kitty is a decent powerhouse. His speed is his best stat, and it is good enough to outspeed quite a few enemies. 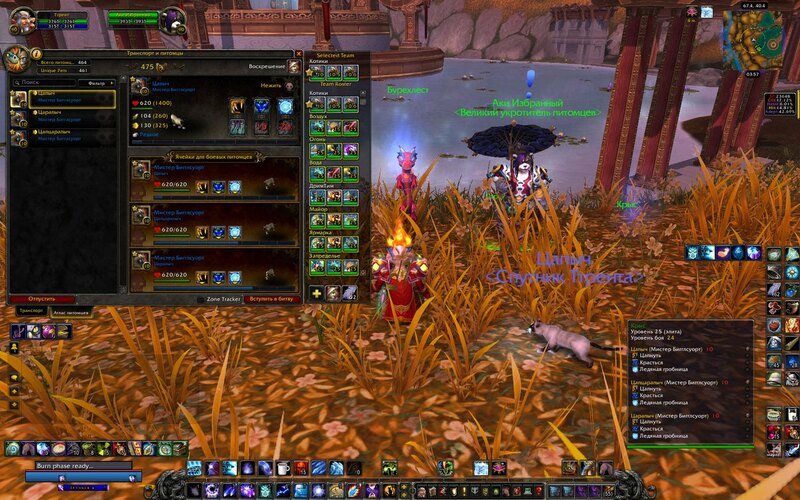 Like, the Pandaren Elemental spirits usually have around 300 speed. Mr. Bigglesworth carries a formidable ability combo that can kill a lot of enemies. Using Pounce/Prowl/Ice Tomb, you can do 3 -> 1 -> 2, which makes your Prowl empower the explosion of your Ice Tomb which results in tons of damage. Obviously the greatest strength of Mr. Bigglesworth is also his weakness. A pet that relies on a single burst of extreme damage is weak to pets that have an ability that lets them survive an extreme burst of damage. Cocoon Strike, Survival, Burrow, Dive, Lift-off, Dodge, and so on. When you encounter an enemy Bigglesworth, try to use a pet that can do one of these and time them properly. Keep in mind though, that the buffed up Ice Tomb is not the only card up his sleeve, for this kitty can pump up respectable DPS even when just spamming Pounce. Also... never forget that he is actually Undead, so when you see him use his Ice Tomb and you think you can burst him down before he finishes his combo... well, good luck with that! His alterate attacks, Howling Blast and Frost Nova, are really nothing spectacular. Maybe they could generate more DPS if someone would be using a team composed entirely of mechanicals, but who the hell would do that (aside from her). Is there a bug in receiving him once you get all the other raid pets? I finished up with Fungal Abom. and waited for the mail, but he never showed, then I thought "oh, he must get added directly to my pet list like certain other pets", so I looked, he wasn't there. I logged, still wasn't there, is there something else I'm supposed to do or is he now bugged? Hes undead, meaning he takes more damage from critter abilities, yet he has a couple of beast abillites that do more damage against Critters. Weird Battle Pet if you ask me. Also, he does LESS damage against critters with his elemental abilities. What the heck is going on here? Just finished Raiding with Leashes achievement last night and today I was checking my pets for dupes with a macro I found and it said I had a dupe of Mr. Bigglesworth. Then I looked in my pet journal and noticed that I had 3 Mr. Bigglesworth pets there. Not sure if this is a bug or intentional. I got the achive for this pet about a week ago and is it normal for it to glitch and give you 3 of them not that i care due to 3 of them is just to darn op in pet battles. each time i relog i got another and another all the way to i had a max of 3. "Upon exiting the freezing necropolis of Naxxramas, Mr. Bigglesworth promptly found a warm spot in the sun in which to take a long nap." You're welcome, Blizzard. Prepositions are not words that we end sentences with. Unfortunately, as of 5.2 Mr Bigglesworth has been massively nerfed, with prowl replaced by ice barrier. No more über ice tombs, making this pet is rather weak in my opinion. Although this pet may seem weak with the removal of Prowl, he can still be useful in a few cases. Despite the fact that you can't combine Prowl and Ice Tomb to nuke your enemies like a microwave burrito, you can still use Frost Nova to prevent them from switching out to a pet which can reflect or dodge. Ice Barrier can be good when switching to a different pet. Time it well! If Ice Tomb is used while Ice Barrier is active, the Ice Tomb debuff will not hit the target and the target will not take the damage from its effect. Ice Tomb damage will also be nullified if the Ice Barrier is still active when it comes into effect, even if the debuff has been applied already. This means that if you are not careful, you can cancel out your own attacks. 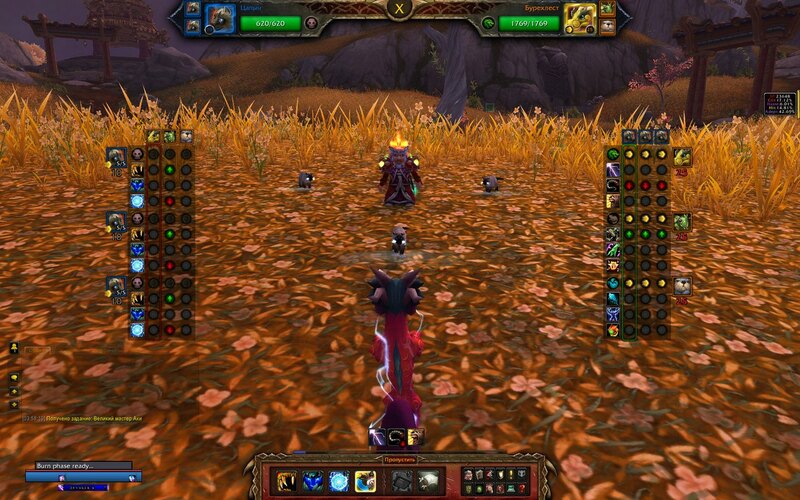 As a matter of principle, I rename all of my battle pets that I use and level. Makes it more interesting and helps me bond with them. This single damn pet is the one I cannot find the heart to rename. Sure, I can reset his name at any point I feel like, but why bother changing it in the first place? It's already perfect. For pet battling, I'd generally shy away from this dude, and other undead pets with beast abilities. But for a fun pet to mess around with, he's definitely a good choice. Mr. Bigglesworth is from the Movie, Austin Powers, as Dr. Evil's cat. Bigglesworth was frozen with Dr. Evil which caused his fur to fall off. Seriously, all these posts and not one of them tells you how to get this guy! После долгой жизни в промерзших застенках Наксрамаса мистер Бигглсуорт сразу же нашел теплое местечко под солнцем и задремал.